Simply and beautifully stated. While sometimes I know I fall short of living by these words, the fact that I keep trying to get it right is important. Maybe if everyone keeps trying to live by these words the world will become a better, more peaceful place. Thank you for writing this. 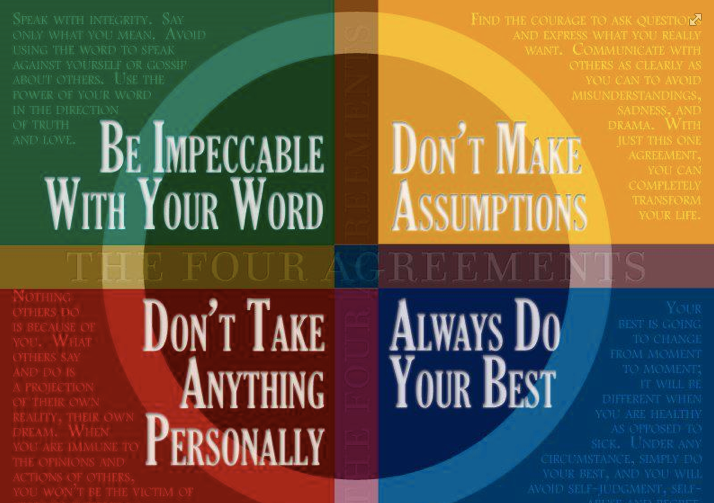 Hi Mark, I love The Four Agreements. Sorry haven’t visited been super busy brother. Happy Valentines, Full Moon, Weekend, Year of the Horse, so on and so on! Easier said than done, I have found. I can talk myself into eating this or giving up that, but carrying it out is much more difficult.